Last week, I met someone in a coffee shop that had worked for fifteen years at a retirement home for the elderly. We had an enjoyable conversation about how several people would come in and request volunteer work or be searching for volunteer services in his area. I could relate to his experience, being affiliated with a non-profit is very rewarding because it enables me to share happiness with others. Volunteers for the elderly come from all over the planet, each with a different motive or reason behind their desire to care for the elderly. Each is just as important as the next, no matter what sector the volunteer work is in.The man explained to me how one of the most rewarding parts of his job was not just caring for the elderly, but also encouraging others to live more rewarding lives by helping them volunteer for seniors. Caregiving services for the elderly are in high demand these days, but we believe that the ones supported by volunteers will continue to be the most cherished and rewarding available.When Elder Helpers connects the elderly with our volunteers, the seniors may often will ask if it is necessary to pay them or give them tips. People who have seen both the volunteer side and the elder side of care know that our volunteers are sometimes being helped just as much as the elderly. They receive an emotionally rewarding experience, that cannot be bought or sold on any market. People in the elder care sector understand that volunteering for the elderly has its rewards and that community service in general is making the world a better place to live and work. By donating your time to help the elderly or volunteering a few hours a week you are contributing to bring our society into a better tomorrow. It may seem like just one relationship, but it is setting an example for others in your community. Volunteering for the elderly is making progress to change the way that elder care services are operated forever. You are not just helping an elder to live happier and healthier, you are also supporting an organization that is revolutionizing the way elders receive care. Whether you are doing volunteer work at a retirement community, doing general community service or supporting Elder Helpers you are working with us to make the world a better place. As an elder, your affiliation with our program allows us to find help for seniors in your community. If you are a volunteer, your contribution is the heart of our program and providing essential services for seniors. What starts as a simple conversation in a coffee shop, develops into ideas that help change the world. With technology, communities and volunteers we can work together to achieve much more than we can alone. Remember that it all begins with an idea, made into a reality by working together. Volunteering for the elderly has helped us to achieve this for volunteers, the elderly and the world. Many people know that exercising can improve the health of an elder, which may be important to reducing the stress from their changing physical condition or increased dependence. Simple movement can also help home bound seniors to get the necessary exercise that they need, without having to leave the home. 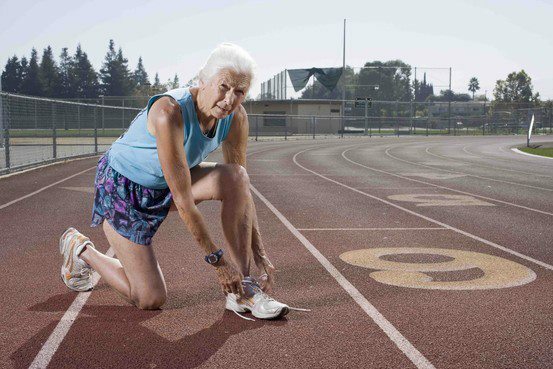 As a safety precaution, we always recommend that the elders ask their doctor if any exercise is right for them before they begin, but here are some fundamental ways to help the elderly to stay fit and active. Stretching: Simple yoga can be done to help with stretching, but as daily activities decrease, yoga could become more important and may be the only physical activity that is reasonable for some elders. For stretching exercises, visit this link. Strength: As we get older and decrease our activity, our muscles may tend to also decrease in mass and we may become weaker. Muscle mass is important to achieving stability, so that we can prevent falls from occurring and be capable of more exercises or public activities. You can view some strength training exercises in a video, by visiting this link. Balance: This brings it all together and may be among the most important to helping the elder achieve more mobility and keeping them safer at home. A simple fall can result in serious injury that might have been caused because of reduced balance. Some elderly diseases such as osteoporosis, reduces the elders balance and increases the necessity of balance exercises. For videos on improving the elderly’s balance, visit this link. Many elderly or disabled people struggle with hearing, reading, writing and general communication skills. We cannot verbally or non-verbally communicate with them the same way we do with our peers. It is important to understand that as people grow older, they often become more difficult to understand and changes in their environment may influence their communication. Do not communicate quickly with the elderly or disabled when communicating, maintain eye contact, and speak clearly and directly to them. We may sometimes get in the habit of multitasking while speaking with our peers, resulting in a weaker message or conveying the message that we are not interested in what they have to say. Our peers understand and are accustomed to this communication method, however, elders not so much. They don’t live in as fast a pace world as the younger generations. Elders may demand extra attention in conversations to not convey that you respect what they have to say, but also to ensure that they receive your message clearly. Another important factor is to communicate as simply as possible using small words, short sentences and visual aids. Many elderly or disabled people have short-term memory loss, which means that they may struggle to remember recent events or conversations that you may have had with them. If an elder makes a statement that you do not agree with, do not argue with them or attempt to instill your logic. While you may be able to have casual arguments with your younger friends and family, elderly adults can also be very close to their beliefs and you should not get them overly exited. It may be fine to have relaxed discussions about events, but disputing personal beliefs and values is rarely accepted in any social context. To help elders recall what you are communicating to them, you should re-state key ideas of the topic frequently. Some believe that repeating key points three times helps people to remember the points later on. Many authors use this same technique by stating the key points in the introduction and conclusion. Professional authors are presenting the important features of the overall message that they want their readers to recall. This may not always be important when communicating with the elderly and some may find it offensive. It is a helpful technique if you notice that the elder has difficulty remembering the key points of your conversations. Listening to elders can also play an essential role in the communication process; communication is a give-and-take relationship. Sometimes, we may be focusing on our own thoughts and responses and do not pay enough attention to the other person’s message. By taking the time to listen and asking the elder questions, you may find that all other aspects of communication improve as well. The elderly are not the only ones who want to be listened to and heard, although it is especially important that they are. In today’s conversations with our peers, some have come to expect that the person is not fully engaged in our conversation. Making sure that you receive the sender’s message is essential to have an appropriate response, sometimes we may be thinking about our response while the other person is still talking. By listening intently, we can often understand communication on a greater level, respect the sender and learn more about them. You may find that this technique of communication will carry over into all aspects of your life. If you have ever watched an interview on television,you can observe how intently the interviewer appears to be listening to the interviewee. Expert communicators have developed great listening skills, because they understand how important listening is when speaking with someone. 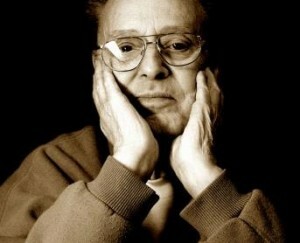 It is important to allow extra time for the elder to ask questions when you are communicating and express their reaction to what has been said. Elders have a tendency to struggle when conveying their thoughts and feelings; sometimes there is a time lapse that is longer than younger adults. Although waiting for a response can be trying at times, it should not prevent you from asking questions. Keeping elders engaged in the conversation helps you to understand them better, strengthens your relationship and gives them confidence. By taking measures to improve message quality and using the basic principles of communication, you can enrich all conversations with the elderly. The positive aspects of good communication are present in all social environments and mastering them will help you to convey your messages more effectively. By using some of the same techniques to communicate as the professionals do, you can enhance the elder’s chances or receiving your message and improve the relationship. 1. Be patient when communicating. 2. Keep messages short, simple and to the point. 3. Focus on listening and interpreting verbal and non-verbal communication. 4. Use non-verbal gestures to complement your verbal message. 5. Summarize and repeat key points if necessary. 6. Never dispute beliefs or argue with the elderly. 1. 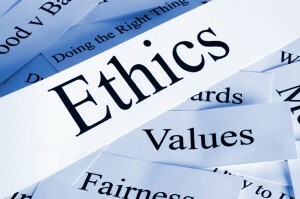 Responsibility must be practiced by always making the best decision to benefit society. We strive to create the best relationships with volunteers and elders, believing that it is our duty to ensure the continuation of our program through your satisfaction. 2. Compassion is at the heart of our operations because we want to make the world a better place and improve the lives of elders across the world. 3. Trust in every aspect of our operations with the public and with respect to international laws and regulations. We not only expect to meet our legal obligations as a non-profit varying across countries, but we have a very high standard for ethics upheld by trust in our daily operations. 4. Generosity of all supporters and staff of our organization which allows us to consistently pursue our mission of connecting elders with volunteers desiring to help them. Without the donations from our respected supporters, our program would not be capable of its consistent growth and expansion. 5. Honor the different cultures, beliefs and practices varying from region to region across the world. Operating on a multi-national scale encourages us to be accepting of all beliefs and backgrounds to provide care for anyone who needs it regardless of their lifestyle. 6. Promise to our supporters that with their help, we will continue to provide assistance to those in need. This means that while you or a loved one is planning for retirement, having access to free care and companionship is one less factor that you need to worry about. Continued support of our mission will ensure the same thing for our volunteers’ future and generations to come. 7. Excellence is put forth in all of our strategies to improve the program for elders and voluntee­­rs. Our volunteers may donate their time to our program, but we encourage a high degree of quality in their work because it helps you to have a more enriching experience and we can achieve our mission. 8. 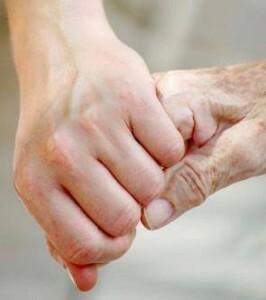 Respect of all citizens, especially volunteers, supporters and the elderly affiliated with our organization is vital. We passionately believe that treating everyone with a high degree of respect is fundamental to our operations. Elder care is a growing issue in society. Caregiving at a distance can be difficult, stressful and time-consuming. And often the only time caregivers see the loved one is on a family visit, more than not tied around a holiday. It is very noticeable when something is awry when visits are infrequent. This holiday season be aware of your older loved one’s physical and mental capacity and take notice of their environment. Whether visiting someone in senior care centers or at home, here are some tips to help. First use your senses. Observe with your eyes, ears, and with your senses of taste, touch and smell. Look at the house/apartment. Is it being kept up? Is the environment unsafe, unsanitary? 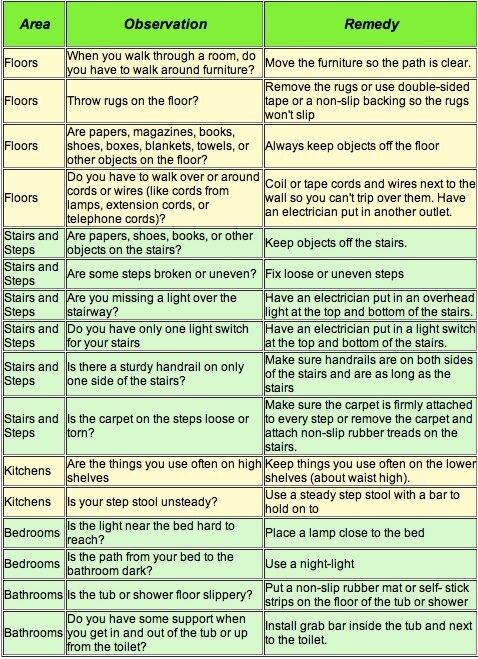 Track the chores you do while there as they could point to services your loved one needs after you leave. Is there any thing obviously missing or large-scale new purchases? This could indicate some type of exploitation/abuse by others. How can you tell if a loved one has been abused? As a healthcare conference speaker, I often need to remind my audience members of their responsibility in the community. And watching out for abuse of elders is one such responsibility. There are different types of abuse, some initiated by others and those of self-neglect. Again use your senses. Observe physical or sexual abuse — bruises, black eyes, welts, lacerations, and rope marks. Is there a new best friend around? 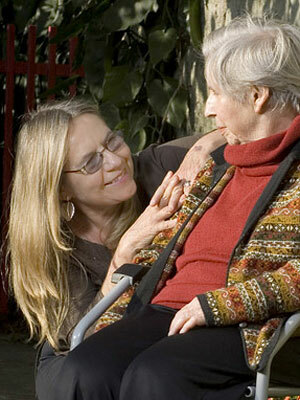 Does a home care worker refuse to allow you to see your loved one alone? Emotional abuse — is a loved one being emotionally upset or agitated; being extremely withdrawn and non communicative or self report being verbally or emotionally mistreated? These are signs that something is up. Is mom or dad just slowing down or is there more going on? It could be natural old age setting in or there could be signs of bigger health issues going on. Has there been excessive weight gain, weight loss, decline in general hygiene? How is their strength and balance? Does it prevent them from doing things? Will they accept help, say when you go to a mall and offer to get a wheelchair? Check for dehydration or undernourishment. 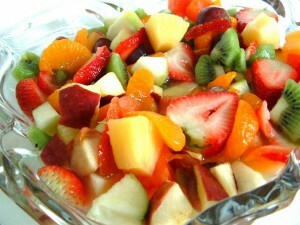 Are your parents eating nutritious meals regularly? Are they able to prepare meals? Are they wearing inappropriate clothes? Is their clothing inadequate? Check that they have all of their medical aids — eyeglasses, hearing aids, dentures. Look for signs of declining memory. Are loved ones placing items in wrong places, missing appointments? Are they forgetful? Check expiration dates on medications. Are loved ones forgetting to take medications? Can they afford their medications? Has the number of prescriptions increased significantly? Unopened mail could indicate memory problems, vision problems, or hint at financial problems. Sweepstakes circulars could indicate they or someone is responding to offers. Are there overdue bills? Are bill collectors calling or showing up at the house? Check for any changes in the loved ones bank account. Check for any additional names on a bank signature card. Check their bank statements. Is there unauthorized withdrawal of funds? What Do I Do If They Need Care? First, there is a delicate art on how to communicate with an elder loved one. You want to enjoy the time you have with them and ease into the conversation. Gather information on community services that can meet their needs. Take notes of services, fees, waiting lists. 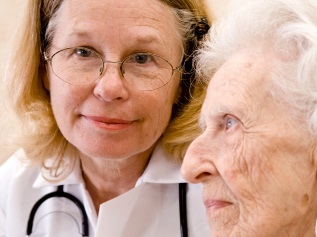 Schedule a visit with your elder’s physician during the time you are there. Identify a social support system for your loved one. This includes people they can call on such as friends, neighbors, clergy, and others in regular contact. Meet these people while you are there. Even if loved ones are fine, advance planning can help you to avoid a crisis in the future. Take a medication inventory. Document the names of physicians. Make sure they have a living will and durable power of attorney. Know where to find their financial information. 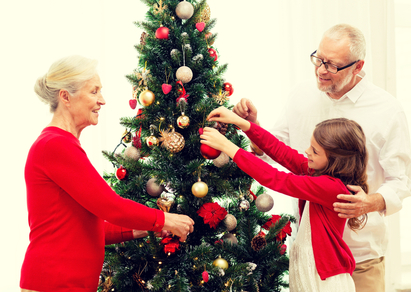 Enjoy your time with an elderly parent, relative or friend this season but be watchful of their needs. They will not let on or ask for help. So be a good observer, listener, and friend. Depression in seniors in not uncommon, but that does not mean that it lacks seriousness or should be taken lightly. By definition, depression is a prolonged state of sadness that is different from grieving and can last a very long time. In this post, we will help you to understand if you or an elder you know has depression. It can sometimes be difficult to determine this, as many aging diseases or other aging traits can be perceived as symptoms of depression. The good news is that you can take steps to help reduce the stressors in the senior’s life or get them professional assistance to help them feel better. If the elder that you care for experiences these symptoms, it may alert you that they could have depression. You may instinctively want to help them or change it, but the best things that you can do for is being a faithful friend or seeking professional help. Sometimes people like to talk about their feelings, but in most cases, discussing it only makes it worse and can cause anger towards your attempts to help. If you know the person well enough that they like to openly express their feelings, you can subtly ask them if there is anything that they would like to talk about or that has been bothering them. To not be persistent or aggressive, if they want to talk they will when they are ready. Depending on the severity, attempting to get an able-bodied homebound senior outdoors and interacting with other people may help. Doing light exercises like water aerobics can also do a great deal of good, provided that the senior is willing and their doctor enables the activity. If the depression is more serous and the senior denies the opportunity to do any activities because he or she no longer finds them enjoyable or ‘worthwhile’, you should contact a medical professional. Their extensive experience in having elderly patients with depression gives them expertise and the elder’s doctor may know private information about their health that could be linked to the depression. Depression is not an easy thing watch a loved one experience. With a watchful eye and caring heart, it can be spotted early and its chances of getting worse can decrease. Just be careful not to assume too quickly or ask too many personal questions, as some of the symptoms can be the result of an aging disease and not depression. You should never, under any circumstances recommend or give the senior any medication that is not prescribed by their doctor. Medication is very complex and when it is taken in combination with others or not under professional circumstances, the consequences can be very negative physically for the senior and legally for the person that recommends the medication.